All-on-4® dental implants at our New York, NY, practice are designed to support a full-arch denture with only four strategically placed implants. Dr. Navid Baradarian is an experienced periodontist in the Manhattan area who can use advanced technology and skills to place your implants so you can experience improved speech, boosted confidence, and a rejuvenated appearance. All-on-4 dental implants are made by one of the leading makers in the implant industry, Nobel Biocare®. 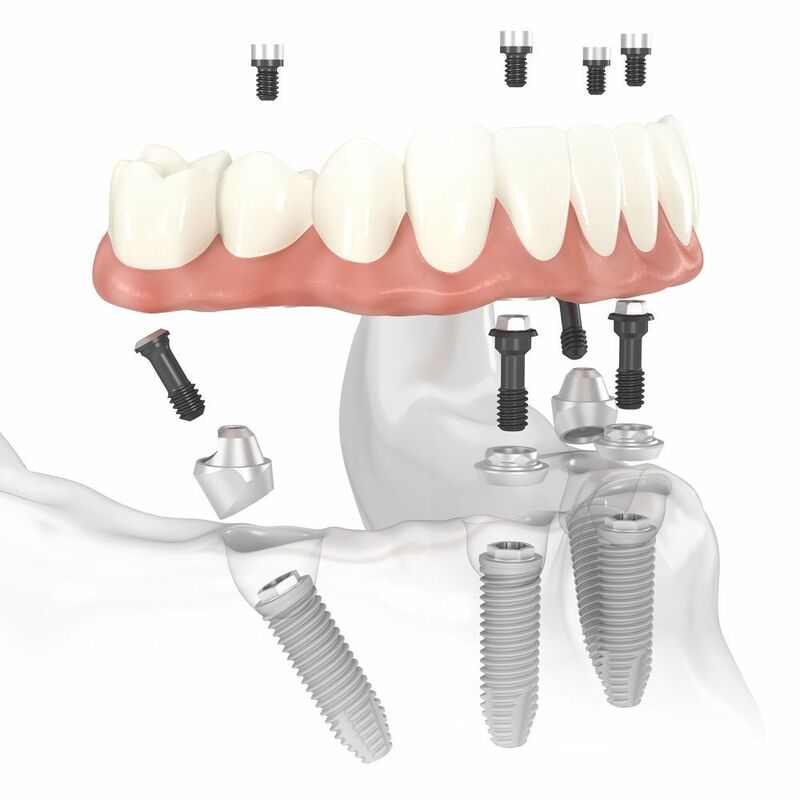 This system is designed to hold an implant-supported denture with only four dental implants. Created in 1998 by Dr. Paulo Malo, All-on-4 dental implants provide an affordable and superior tooth replacement system for patients missing most or all of their teeth. These dental implants provide the same great benefits as traditional implants, such as improved aesthetics, better speech, boosted self-confidence, and long-lasting and natural-looking results. But where they differ is in their ability to provide a permanent and cost-effective solution to tooth loss for patients unable to qualify for traditional dental implants due to insufficient bone density.